I've heard from various sources that, despite Optimum's official statement about their delay (see below), copies of Night of the Eagle and Circus of Horrors have filtered through to some etailers and retailers. 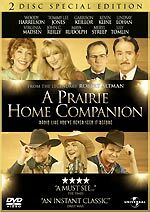 Robert Altman's swansong, A Prairie Home Companion, will be released on DVD by Universal on June the 25th. The film, based on the long-running radio show created by Garrison Kiellor, boasts a star-studded cast, including Kevin Kline, Woody Harrelson, Tommy Lee Jones, Virginia Madsen, John C Reilly, Lily Tomlin, Meryl Streep and Lindsay Lohan. The film will be presented in "Digital Anamorphic 16:9" format, with Dolby Digital 5.1 audio. The two-disc set will feature deleted scenes; Onstage at the Fitzgerald - The Soundtrack of the Film; Come Play With Us featurette; and a commentary track by Kevin Kline and Robert Altman. Universal has formally announced the details of one of the most anticipated DVD releases of the year: Edgar Wright and Simon Pegg's follow-up to Shaun of the Dead, the two-disc Special Edition of police comedy Hot Fuzz. The film will be presented in 2.35:1 anamorphic widescreen format, with Dolby Digital 5.1 audio, and English HoH subtitles. The two disc set will be packed with bonus features, including four commentary tracks (one by Pegg and Wright; one by 'Sandford Police Service' - actors Pegg, Nick Frost, Jim Broadbent, Rafe Spall, Kevin Eldon and Olivia Coleman; one by 'Sandford Village People' - screen veterans Kenneth Cranham, Timothy Dalton, Paul Freeman and Edward Woodward; and one by 'The Real Fuzz'). Other bonus features include outtakes; theatrical trailers; The Man Who Would Be Fuzz (a scene performed by Pegg and Wright as Sean Connery and Michael Caine); Hot Funk (a montage of clips using the 'clean' alternate takes from the TV and airline version of the film); the Fuzz-O-Meter; storyboards; Flick Book: The Other Side; a Making of... documentary; video blogs; featurettes (The Art Department, Friends and Family, Cranks, Cranes and Controlled Chaos, Here Come The Fuzz and Return to Sandford); Edgar and Simon's Flip Chart; Simon Muggs; Sgt. Fisher's Perfect Sunday; photo' galleries; Plot Holes and Comparisons; Dead Right and Making of Dead Right. The RRP is £24.99. Amazon are offering a limited edition version with artcards. HMV will have an exclusive version which uses the film's US poster art for the sleeve. Play.com are also listing a box set, but have no details. See the disc's Incoming record for more details. Several etailers are also listing a Shaun of the Dead / Hot Fuzz double-bill, with an RRP of £29.99. Roobarb's DVD Forum Hot Fuzz thread here. The King of Queens - Season 2 will be released on July the 7th. This is a three-disc set featuring twenty-five episodes. Bonus features will include commentary by Kevin James and creator / Executive Producer Michael Weithorn. Frasier - Season 7 is due on July the 7th. The four-disc set will include the Emmy-nominated season finale, Something Borrowed, Something Blue. The fourth series of The Dead Zone, the paranormal drama series based on the novel by Stephen King is due on July the 23rd. The Brady Bunch - Season 1 is a four-disc set that will be released on September the 3rd. The first season of Happy Days is due on September the 3rd. The three-disc set will feature sixteen episodes. JAG - Season 2 is due on September the 10th. The four-disc set will feature episode commentaries by cast and crew, behind-the-scenes footage and a Making of... featurette. Post-Apocalypse drama Jericho's first season will be released on September the 24th. 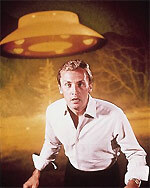 60s science-fiction classic The Invaders, which starred Roy Thinnes (pictured) as an architect who discovers that the Earth is being targeted by aliens, will be released on September the 17th. There's no mention of this being a Season One-type release, so perhaps the set will feature both seasons of the show? Roobarb's DVD Forum The Invaders thread here. The first part of the first season of 70s cop show The Mod Squad will be released on September the 24th, as a four-disc box set. The Streets of San Francisco - Season 1 Part 1 will be released on September the 24th. The three disc set will include the pilot episode, and a four-minute interview with stars Michael Douglas and Karl Malden, filmed on the show's set. Finally, a four-disc set of The Untouchables, the 1959 series that inspired Brian De Palma's Oscar-winning 1987 film, will be released on September the 24th. Optimum have put back the release date for their forthcoming Horror Classics and Amicus Classics titles (Night of the Eagle, Circus of Horrors, I, Monster and The Beast Must Die). These will now be released on June the 25th. 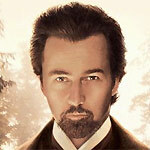 Momentum Pictures will release The Ilusionist on DVD on July the 9th (it will be available to rent on June the 25th). The Academy Award-nominated film, which stars Edward Norton, Paul Giamatti, Rufus Sewell and Jessica Biel, will be accompanied by a commentary track by writer / director Neal Burger; a Making of... documentary; and an Easter Egg. (The latter might be the Jessica Biel on The Illusionist featurette that's on the US DVD, which was released in January by Twentieth Century Fox Home Entertainment). No technical details were announced. The RRP is £17.99.